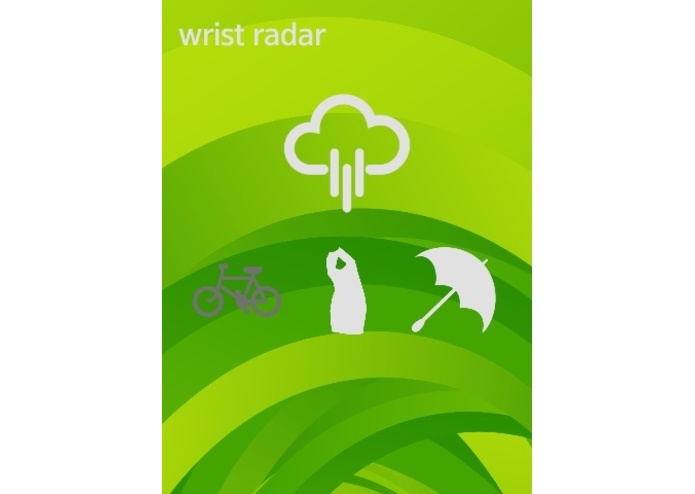 Wrist Radar uses the best forecasts and radar imagery available to keep you informed about the weather in one easy glance and make your daily fashion choices instantly. Know exactly what to wear with your own personal fashion advisor on your wrist! Is it warm enough for a dress or shorts? Need to bring a jacket for that windy, foggy San Francisco weather? A few taps on your Galaxy Gear 2 will let you know even from the comfort of your bed. 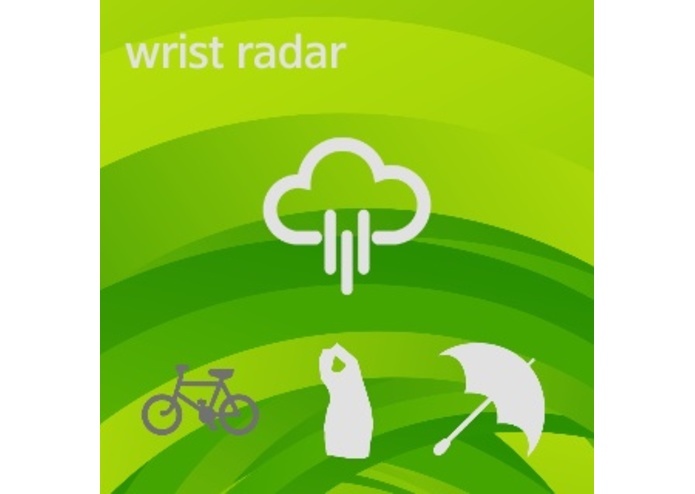 On your Galaxy Gear 2 or Galaxy Gear S smart watch, Wrist Radar gives you easy to understand at a glance icons for the expected weather forecast, if the weather is good for bicycling, and if an umbrella is needed. For example, you may see an icon indicating cloudy skies, but a lit up bicycle indicating there is little chance of rain and you are good to commute by bicycle. A dress icon indicates it will be warm enough for shorts or a dress. An umbrella indicates a high chance of rain or snow. 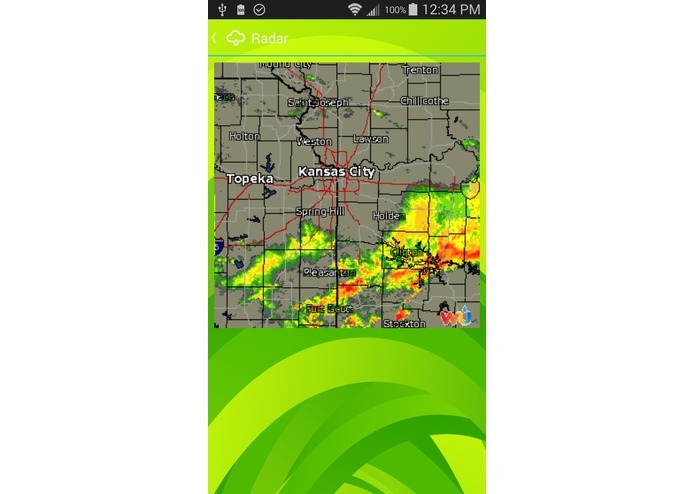 On Android phones Wrist Radar also adds detailed text forecasts and radar images showing you just where any precipitation is. 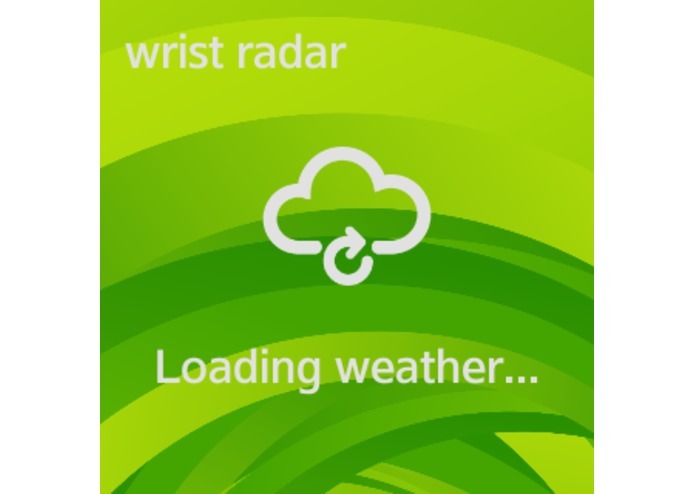 Use Wrist Radar on the go, anywhere from working to sailing, to always know the best forecast and weather situation imagery. 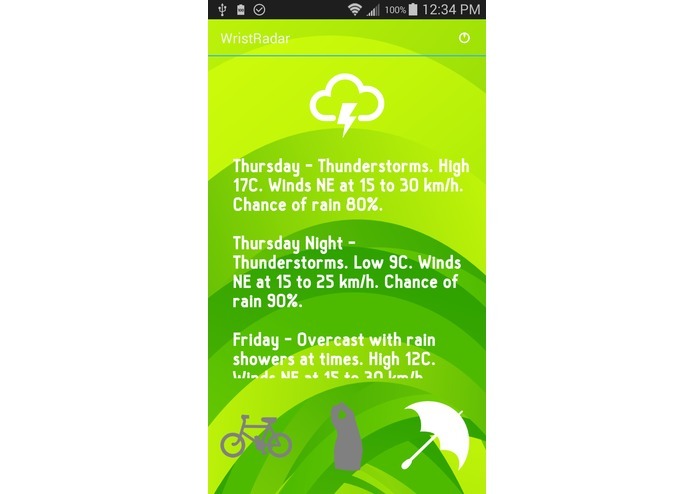 Wrist Radar adds a weather API and automatic results to the original manual stylist fashion chooser app that often took minutes to get you your result. 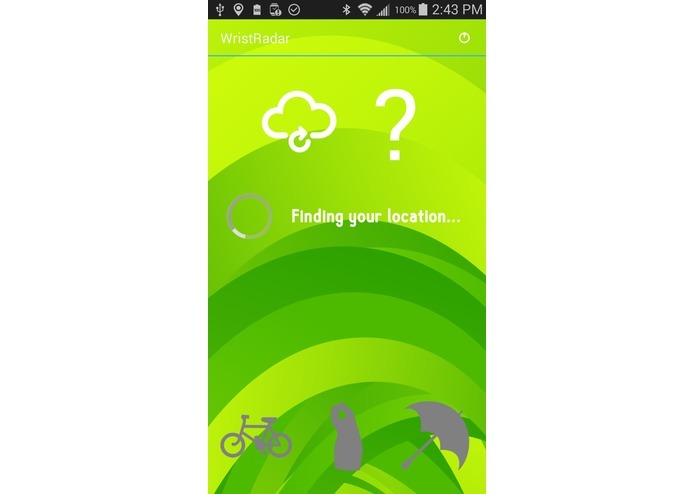 Let Wrist Radar be your ultimate co-pilot for what to wear, what to bring, and how to get there!